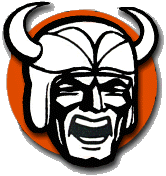 NORTH CANTON Seniors John Keller and Luke Reicosky combined to rush for 263 yards and four touchdowns as the Vikings rolled to a season-opening win at Memorial Stadium. Reicosky rushed for 133 yards and two TDs on 21 carries, while Keller went for 130 yards and two scores on 13 carries. Keller also completed 8 of 15 passes for 134 yards, a 31-yard TD to Cord Haubert and one pick. Haubert led Hoover with five catches for 87 yards.